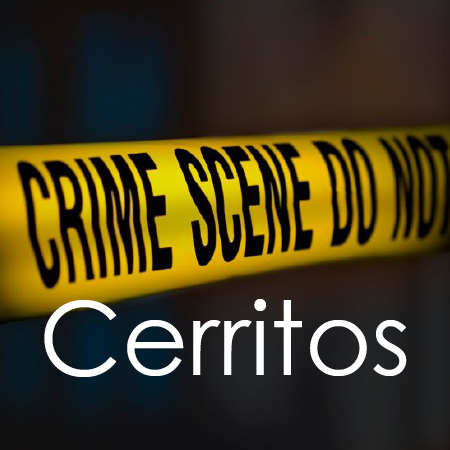 There were 17 Part I felony crimes reported in Cerritos this past reporting period, resulting in a decrease of six from the previous week. The following is a breakdown of crimes by category: three robberies, three residential burglaries, three commercial/other structure burglaries, and eight vehicle burglaries. Cerritos Station deputies made four felony arrests, nine misdemeanor arrests, four warrant arrests, and issued 65 citations. The Sheriff’s dispatch center also received a total of 372 calls for service. 12800 block of Towne Center Drive (08/29 – Evening): The suspect entered the location, while it was open for business, and stole articles of clothing. The suspect struck the loss prevention officer in an attempt to get away. The suspect was arrested. 12700 block of South Street (08/31 – Evening): The suspects pulled up next to the victim as he was walking. The first suspect exited the vehicle and demanded the victim’s wallet. The victim gave the suspect his wallet. The suspect got back into the vehicle and the second suspect drove away. 20200 block of Bloomfield Avenue (09/03 – Afternoon): The suspect entered the location, while it was open for business, and stole various items. The suspect struck the loss prevention officer in an attempt to get away. The suspect was arrested. 16700 block of Laurelbrook Way (08/28-29 – Unknown): The suspect(s) entered the attached garage of the home through an unlocked garage door. Stolen were bicycles, clothing, and sports equipment. 20200 block of Mapes Avenue (09/02 – Day): The suspect(s) entered the home by shattering the rear sliding door. It is unknown what was stolen. 12500 block of Wayne Circle (09/03– Evening): The suspect(s) entered the home by shattering a rear window. Stolen from the home was a safe and personal documents. 16900 block of Cedarwood Court (08/29-30 – Overnight): The suspect(s) entered the detached garage of the home. Stolen were personal documents and shoes from an unlocked vehicle parked in the garage. 18700 block of Jeffrey Avenue (08/31-09/01 – Overnight): The suspect(s) entered the detached garage of the home. Stolen were sunglasses, a tool box, and duffle bag. 13900 block of Bettencourt Street (09/03 – Morning): The suspects entered the location by cutting a hole in a rear wall. It is unknown what was stolen. 17600 block of Palo Verde Avenue (08/29-30 – Unknown): The suspect(s) entered a 2005 Toyota 4Runner, parked at the residence, by shattering a window. Stolen were a car charger and a speaker. 13300 block of South Street (08/30 – Morning): The suspect(s) entered a 1994 Ford Explorer, parked in the parking lot, through a car window that was slightly down. Stolen was a backpack. 12500 block of Felson Street (08/30-31 – Overnight): The suspect(s) entered a 2015 Toyota Highlander parked in the driveway and stole a briefcase. It is unknown how entry was made. 11200 block of 183rd Street (09/02 – Evening): The suspect(s) entered a 2003 Honda Accord, parked in the parking lot, by shattering a window. Stolen was a purse. 12500 block of Oakcreek Lane (09/02 – Unknown): The suspect(s) entered a Toyota Camry parked at the residence. 18400 block of Studebaker Road (09/03 – Unknown): The suspect(s) entered a 2003 Chevrolet Tahoe parked at the residence and stole a backpack and cellphone. It is unknown how entry was made into the vehicle. 18400 block of Studebaker Road (09/03 – Unknown): The suspect(s) entered a 2014 Mercedes C250 parked at the residence and stole sunglasses. It is unknown how entry was made into the vehicle. 13400 block of Village Drive (09/03-04 – Overnight): The suspect(s) entered a 1998 Honda Civic parked at the residence by shattering a window. It is currently unknown if anything was stolen.